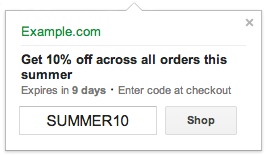 If you were trying to find the best way to communicate via Google Product Listing Ads about special offers you running then we have great news - Google has 'silently' released a new way for doing just that, called Google Merchant Promotions and well, Merchant Promotions are great (speaking from experience as our customers are already using them). 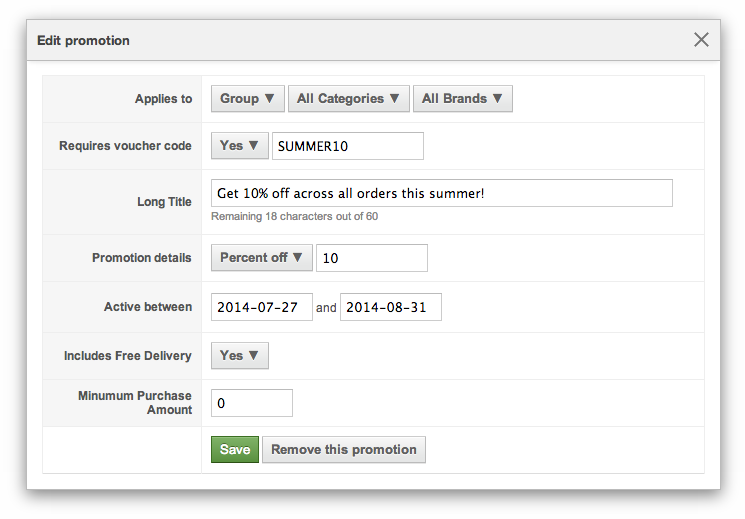 Google Merchant Promotions are a long-awaited improvement for the Promotional Text you can set on an AdGroup level. Merchant Promotions allow you to add your special offers directly beneath your product listing ad with a visible "Special offer" tag making your items even more appealing to the potential buyer. Promotions support various formats, you can run an offer with a voucher code or without, you can provide a percentage off, money off or buy x get y free and more. Promotions can be applied to a specific item or group of items, they can require a minimum purchase amount, provide free delivery etc. An early performance study shows that Merchant Promotions greatly improve your Google Product Listing Ads performance helping to optimise your click-through and cost per click rates. Sounds great and you asking how can you get your hands on it? We hear you, and to make Google Merchant Promotions Management as simple as possible we have designed an interface build indirectly into our system which allows you to control all aspects of managing your offers very easy. You don't need to worry about how to associate offers with products, what feed format to use, how to control overlapping offers and so forth. You can just simply add your promotion using a friendly user interface (as seen below) and our system will do the rest for you. So to get started, just signup for Google Merchant Promotions (available in US, Canada, UK and more in spite of what it says on the signup form) and once approved let us know and we will enable our Merchant Promotions management panel for you making our Product Listing Ads Management Suite complete with one more tool making the entire PLA management process controlled in just one place for you.